Yamaha | Reviews and products | What Hi-Fi? 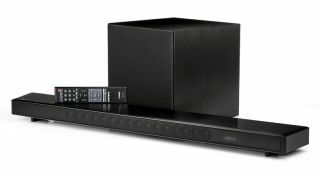 It's not a full surround-sound system but Yamaha's excellent soundbar delivers an experience that's not far from it. Can Yamaha's latest AV receiver take the fight to Sony and Denon? Superior performance and top specs… why can’t we have a bit of both? The V679 sounds big and balanced, but how does it perform against the best AV amps at the money? Music, everywhere: that’s the dream, right? That’s where the likes of Sonos and Bluesound thrive. Yamaha wants to take things further by getting all up in your hi-fi. These colourful Yamaha headphones catch the eye, but how do they sound? Can a surround amplifier, even one as good as this, really be worth £5000? We certainly think so.